If you’re running a small business you’ve got a lot of ways to spend your money. You can hire people. Buy equipment. Advertise. Save. And then there’s technology. It’s no debate that the companies that invest in the right technologies are the ones that are able to grow and profit. But what technology is best for your business? Where should you invest your excess cash? There are plenty of choices. Here are ten you should consider for 2018…and for the future. Malware, data hacks and viruses remain an ongoing threat. But ransomware is the big challenge for businesses this year. Research reveals that around one in five small businesses have or will be affected by a ransomware attack. It occurs when someone unknowingly downloads a small application that locks up your company’s files and requires a “ransom” (usually in digital currency) to unlock. Updating your security software, keeping your operating systems current and training your employees helps. But the biggest thing I recommend is to subscribe to online backup software like Carbonite or Barracuda. They’re inexpensive and if an attack occurs you can just restore from your last good backup rather than paying a ransom. CRM is a multi-billion-dollar industry and it’s easy to see why. A good CRM system will enable you to track activities, emails, notes, opportunities, complaints, marketing campaigns and demographics for anyone who “touches” your business. You’ll also make sure that nothing falls through cracks and everyone in your company is on the same page with your community. A good CRM system will also increase the value of your business. Why? Because it’s a big data world. The leader in this industry is Salesforce.com but also look at Microsoft Dynamics, Zoho and Copper – all great solutions. Social media technology has changed significantly over the years. Once upon a time you could post a thought and it could spread through the network organically. Unfortunately, those days are long gone. Today if you want your messaging to be seen you’ll need to promote it. Smart business owners are focusing on either Facebook or Google and learning about new things like custom audiences, keyword tools, bots, messaging and display ads. Hire an expert or start reading- there’s a lot to know if you want your business or products to be found. Cloud based HR apps are growing steadily and I recommend any company with more than five employees to consider a good platform – Paychex, Namely, BambooHR and others – to increase the productivity of your office. Today’s HR apps are mobile and enable employees to look up history, update their contact information, request vacations and login sick days. Some even have good features for managing and collaborating on performance reviews too. Today’s workgroup needs a single tool to be able to consolidate email, instant messaging, texting, voice, video and documentation. Up until recently products like Slack and Box were the leaders in the category and they’re both still very powerful and popular. But now you can also check out Microsoft Teams, which entered the space over a year ago and provides many of the same features as part of the Office 365 Business Edition. With a great collaboration tool your employees will be able to search and coordinate their activities one from place and that will improve productivity as well as responsiveness to customer-related issues. Everything in your business can be considered a project – be it the hiring of a new employee, the refurbishing of an office or the pursuit of a new client. Products like Trello, Basecamp and http://www.asana.com will enable your employees to create and share everything related to a project – from activities and emails to Gantt charts and reports – all from their mobile devices or desktops. Milestones will be tracked and deadlines will not be missed. 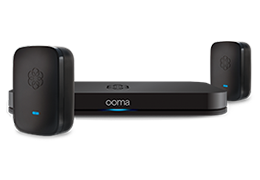 Thanks to industry leading products like Ooma Office, we’ve developed phone systems for small business that are every bit as professional as the largest of companies – and for a fraction of the cost. Some companies choose to buy hardware while others just rely on smartphones. 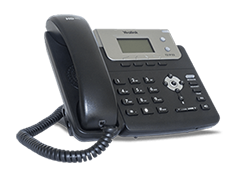 Regardless, cloud based telephony systems like Ooma provide virtual receptionists, automated answering, voicemail, call transferring, conference calling and other powerful messaging features. As more and more people get their information from video online powerful platforms for delivering this information – such as Facebook Live, Twitter, YouTube and Google Hangouts – have become mainstream. Just be aware: the platforms are essentially free but there’s a cost. The smartest companies invest in good people and technologies to produce high quality videos that are expected from their audiences. That done, a great video investment returns profits by showing both customers and prospective employees the kind of company and culture you maintain. Commit to a long term video series – interviews, demos, trainings, etc. – and you’ll find that many people will be watching and cheering what you do. The accounting software landscape is rapidly changing. What was once a onetime purchase and installation is now an ongoing service. Great cloud applications like QuickBooks Online, Xero and Freshbooks are becoming automatic investments by many small business who desire an easy setup, quick access, rapid reporting and all the features expected of a mature accounting operation. Thanks to new optical character recognition software a new generation of financial technology products – such as Bill.com, Receipt Bank and EntryLess – are emerging that allow the quick and accurate capture of data from a scanned document that is then presented for approval and automatic integration into an accounting application. The end result is more work done by fewer people as technology automates the data entry. This cuts overhead and makes companies more efficient. Again, not every technology may fit your needs or your budget. But the above applications are all popular with small businesses in 2018 and for those that do make the investment I know they’ll find themselves enjoying significant benefits in the years to come.